OUT OF MANY, ONE DOCUMENTARY! OnePeople will invite people from across the globe to contribute video footage conveying their ideas about what it means to be Jamaican. No other country of 4444 square miles and a mere 3 million people has a language, music and religion that can boast such vast international impact. Jamaica is a nation of rich contradictions–how is it that the country with more churches per capita that anywhere else also has a raucous, renowned dancehall scene?–and from that friction comes the energy and vitality of the culture. Why are Jamaicans so special, and how did that come to be? These are some of the questions the documentary seeks to answer–but never from a single point of view. There are Jamaicans in every corner of the globe, in every section of society, engaging in every activity and contributing significantly wherever they may be. These Jamaicans are conducting themselves with a style and attitude that is unique to that island—even when they are thousands of miles away from it. It is said that there are as many Jamaicans living overseas as there are residing on the Caribbean island. OnePeople will capture the views of those Jamaicans as well as those on the island. But OnePeople will also embrace anyone who has ever been moved by a reggae song, a plate of ackee and saltfish, or a Negril sunset. All perspectives on the land of “One Love” will be welcomed and invited. 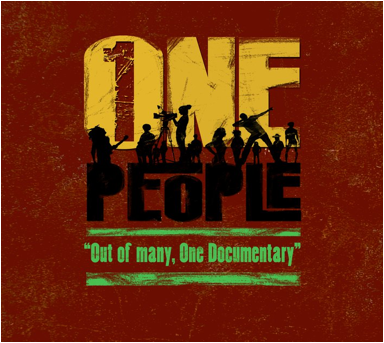 Academy & BAFTA Award winning documentarian and feature film director Kevin Macdonald will serve as the Executive Producer for OnePeople. The director of the highly acclaimed collaborative documentary project LIFE IN A DAY, Macdonald is no stranger to Jamaica, having just directed Marley:The Documentary. He is thrilled to work with Jamaican content once again. “Jamaica gets under your skin like no other country I have ever encountered. If we capture even a fraction of Jamaica’s charisma for OnePeople it will still be magical.” says Macdonald. Contributors can be a part of this historic documentary from wherever they are in the world simply by uploading their footage to the onepeopledocumentary.com website. The deadline for submissions is November 6, 2011. Previous Previous post: Nicky Minaj live at Sumfest 2011!